Groupe Bernard Tapie – Full Tilt Poker Acquisition: Deal of the Century? Holy crap did we really pull this off? The sale of Full Tilt Poker to Groupe Bernard Tapie (GBT) is almost done. The DoJ and GBT reached an agreement that now needs to be approved by Full Tilt shareholders (likely) and then officially executed by the DoJ. On the surface, based on what we know, it’s a helluva deal for GBT. Like, “thanks-for-the-Statue-of-Liberty” good. The DoJ will set up a fund to pay back U.S. players. U.S. players are owed approximately $130M. As we understand it, GBT will not be on the hook for this, as the money will come from seized bank accounts (as well as their $40M purchase price). By the looks of it, GBT will be on the hook for about $200-215M to acquire Tilt. That’s it. Wow. They’ll likely still pay a massive fine for re-entry in the U.S. (which ESPN Poker has confirmed will be an option), but GBT will have some time to earn that money or raise the capital if necessary. On top of the very, very inexpensive acquisition price, so long as all Tilt shareholders surrender their stake in the company, the DoJ has supposedly agreed that it will not pursue any other further civil prosecution. This, our friends, is an unbelievable deal for GBT. According to our sources, there were at least three or four relatively serious Tilt acquisition deals in discussions within the first couple of months after Black Friday (from the Ivey White Knight deal to Jack Binion). 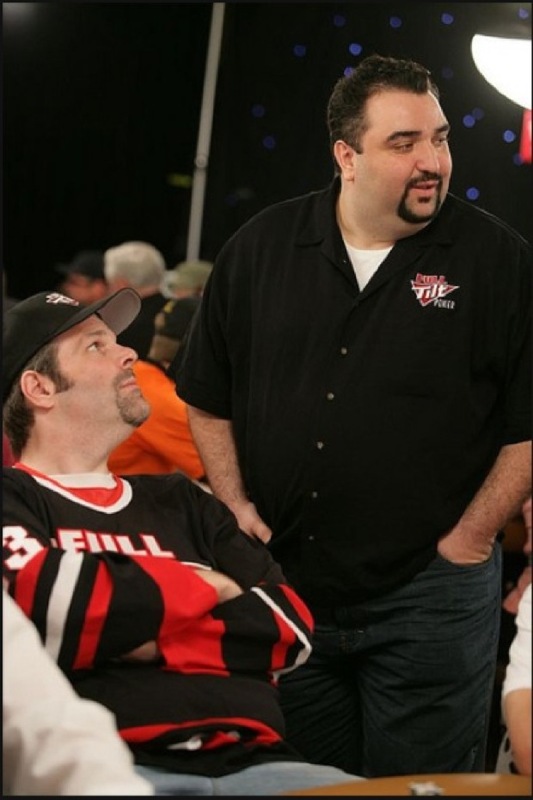 In the instance of the first Ivey White Knight deal in May (the one that eventually led to Ivey’s lawsuit), the deal fell apart in part because the Tilt Board (specifically, Howard Lederer and Ray Bitar) wouldn’t relinquish 80% of the company. With Ivey White Knight, Tilt owners still would’ve kept 20% of the company. With GBT, they get nothing. Other deals in discussion around May and June were rumored for around a $150-200M asset purchase. These fell though, in part, because of the global player liability issues. Regardless, $150-200M is greater than $40M, last we checked. Finally, when the White Knight deal came back on the table in August-September, one source claims that a stumbling block was the DoJ’s refusal to accept only a $200M payment for the Tilt asset (part of this payment would’ve been in exchange for no further prosecution of shareholders as well). So why would the DoJ agree to what’s essentially a $40M payment–which would mostly if not all go to a fund to pay back U.S. players? You got us. The only answers we have are that 1) there were no other options on the table, and 2) GBT must have some wink-wink agreement in place to pay a massive fine for re-entry to the U.S.
As we stated, the deal still needs to be voted upon by Tilt shareholders. As of Monday, one shareholder we spoke with confirmed that he/she was not advised on the GBT deal, and has not been notified by Tilt Board members or management about a vote. However, this shareholder would have no issue relinquishing shares and ownership. Another source, however, says that some shareholders have been notified and a vote will take place relatively soon. Of course, it’s in everyone’s best interest to let GBT come in and take Tilt over. Tilt shareholders won’t get a penny on the deal, but they won’t be prosecuted and forced to forfeit assets (to which some of you might say, what assets?) to the DoJ either. The DoJ at this stage likely knows that shareholders don’t have much in the way of assets left anyway, so they need a deal to go through in order to ever get paid (via a fine for U.S. re-entry). In the end, it looks like everyone’s hand was forced, and GBT came out the big winner in what may turn out to be the deal of the century for them.